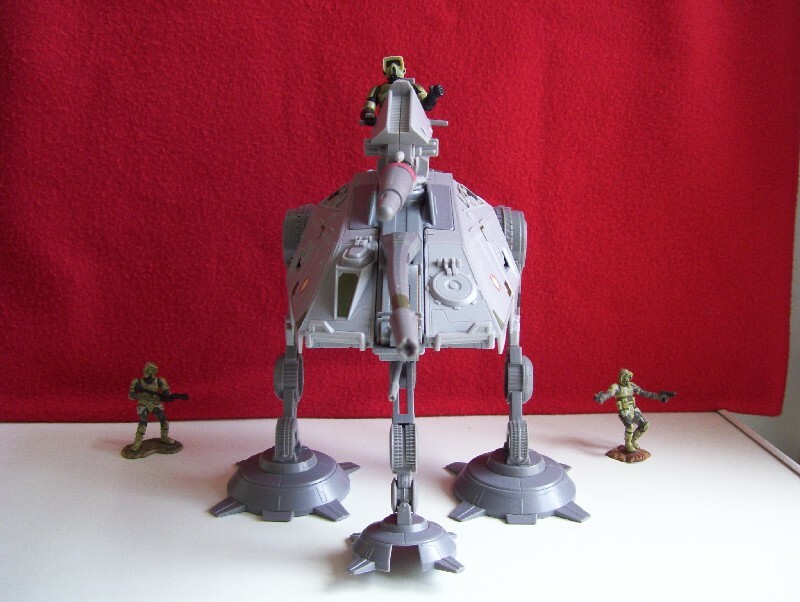 I will introduce you the imperial two legged walker called AT-PT and its driver in this article. You may ask: "What? An other vehicle, starting with AT again?" And you are right. There are plenty from them. We could see those 6 legged clone walkers on the surface of Geonosis, whose name also started with AT, they are called AT-TE. 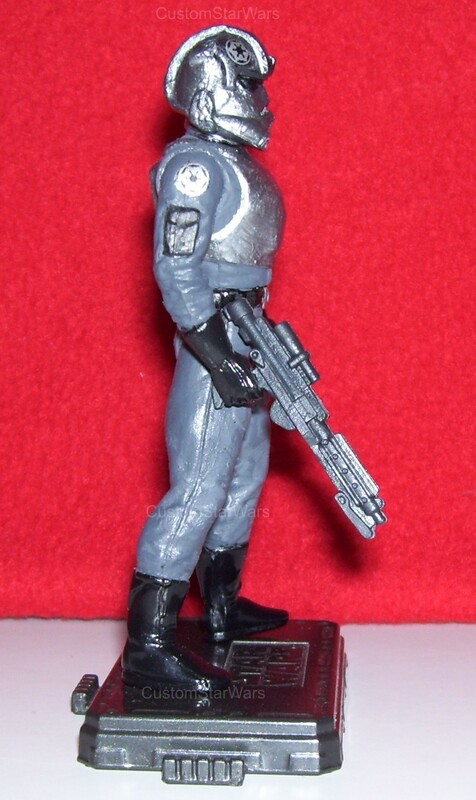 This is the short of All Terrain Tactical Enforcer. So AT stands for All Terrain, which means these vehicle can move on (almost) all terrains. 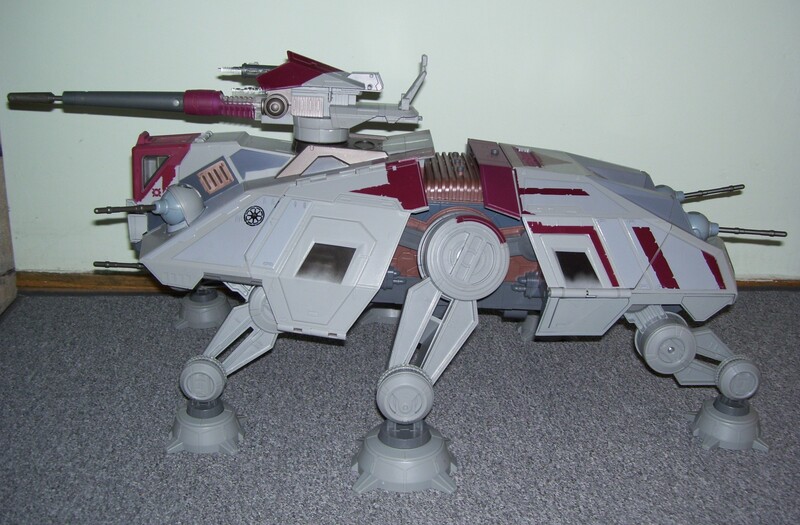 The AT-TE is the ancestor of the AT-AT, you could see those 4 legged imperial walkers in the Battle of Hoth. (AT-AT= All Terrain Armored Transport.) You can read AT in the name of the AT-ST, too. That means All Terrain Scout Transport. 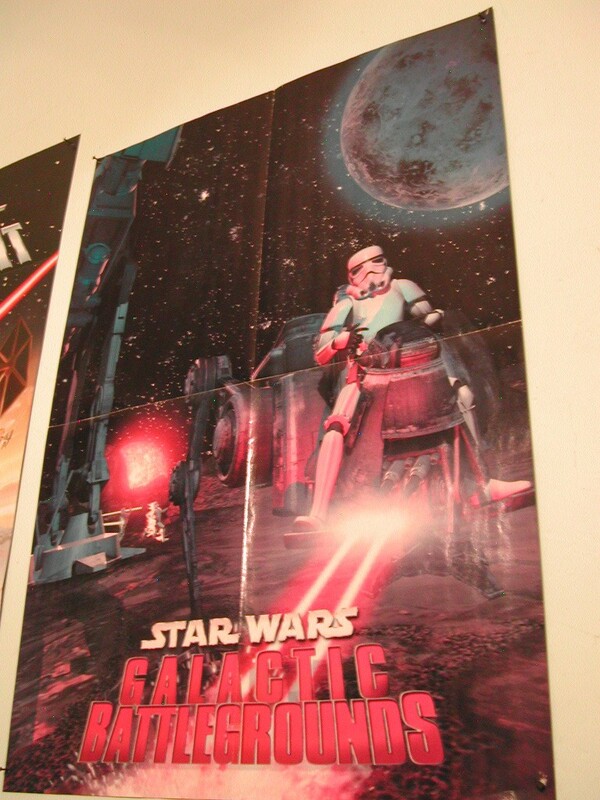 AT-ST-s were also seen in the Battle of Hoth, but their role was much more significant on the Moon of Endor. The AT-ST is a 2 legged imperial walker, so we soon arrive to the AT-PT-s. But the AT-ST is a taller vehicle, and its firepower is stronger then the AT-PT's. 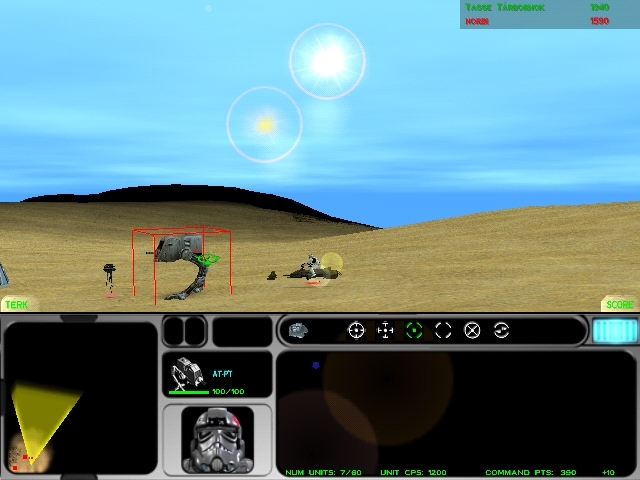 The Galactic Empire uses AT-STs mainly against other armored vehicles. 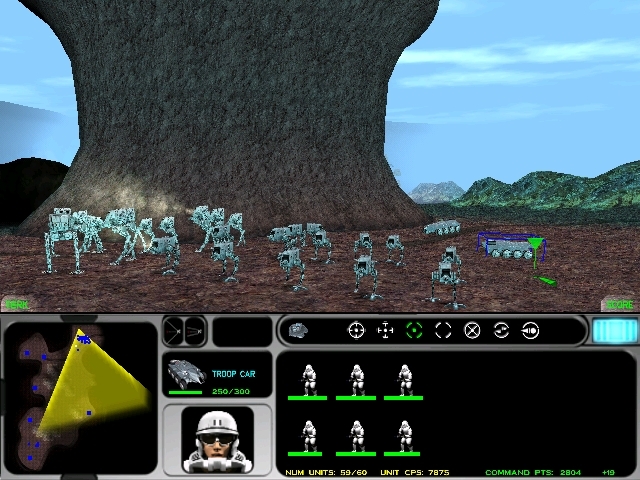 The Imperial commanders got used to the large armored battles, and they had to wake up at Endor, when they realized the AT-ST is useless against guerilla infantry units, when many AT-STs were destroyed at the Battle of Endor. Since the AT-ST is tall, it can be easily "trip up", from which the clever ewoks made advantage when they rolled wood logs under the walker legs, so to make it fall over. And the vehicle is quite slouch, slowly advances, slowly turns, and even its targeting system is better to follow and target other slow vehicles, not those half meter tall, quick ewoks, and some other swift light infantry units. The AT-PT is a more relevant anti-personnel walker, then an AT-ST. As its targeting system, and its twin blaster cannons far more effective against the quickly moving infantry units, the AT-PT became an ideal anti-personnel walker. 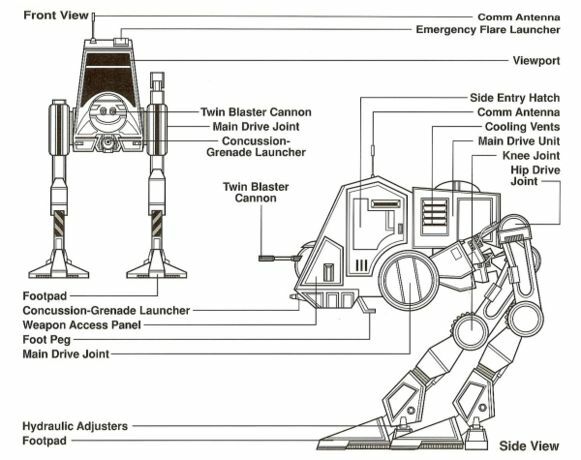 Please take a look at the AT-PT technical schematics, which depicts all parts of an AT-PT! It's advantage is not only the fast targeting and homing system, but also the concussion grenade launcher, that you can find under the twin guns. This weapon is only effective against infantry units, of course the concussion grenade is useless against other vehicles. AT-PT drivers often shot some concussion grenades against the infantry, and then they finished the paralyzed enemy out with the twin guns. 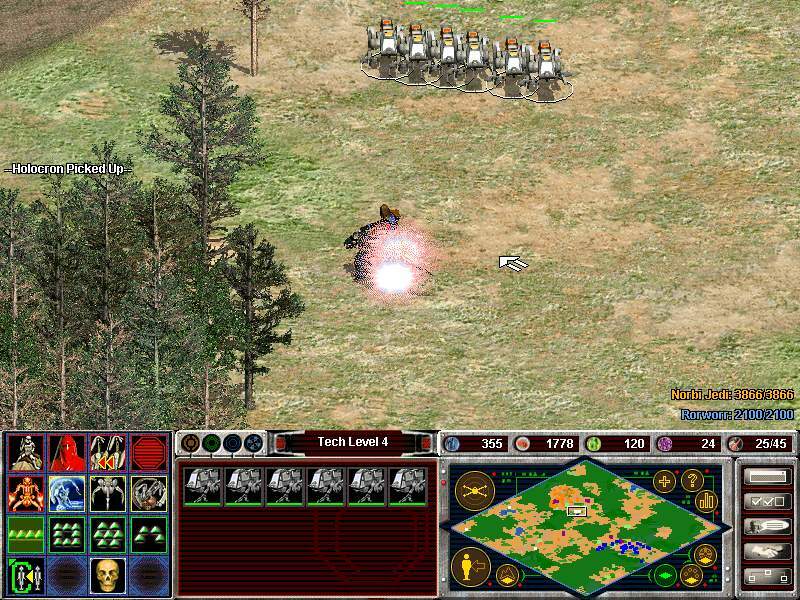 But if the situation gets dangerous, and an AT-PT has to flee, it can easily turn back, and run away from the enemy. However it paid a price for its speed. 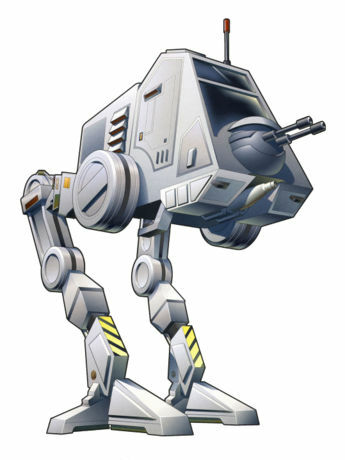 The small two legged walker's superior agility made up for its light armor (in comparison to most other cavalry units, like the AT-ST) therefore the AT-PT drivers must wear a heavier body armor, then an AT-ST driver. You may remember, the AT-ST drivers only wore a fire resisting basic overall, and an open helmet, which cannot provide any protection neither for their body, nor for their head. As the AT-ST has a thicker armor, they need not sit in the cockpit in full bodyarmor. But the AT-PT drivers must wear more armor, since their walker is much more vulnerable. 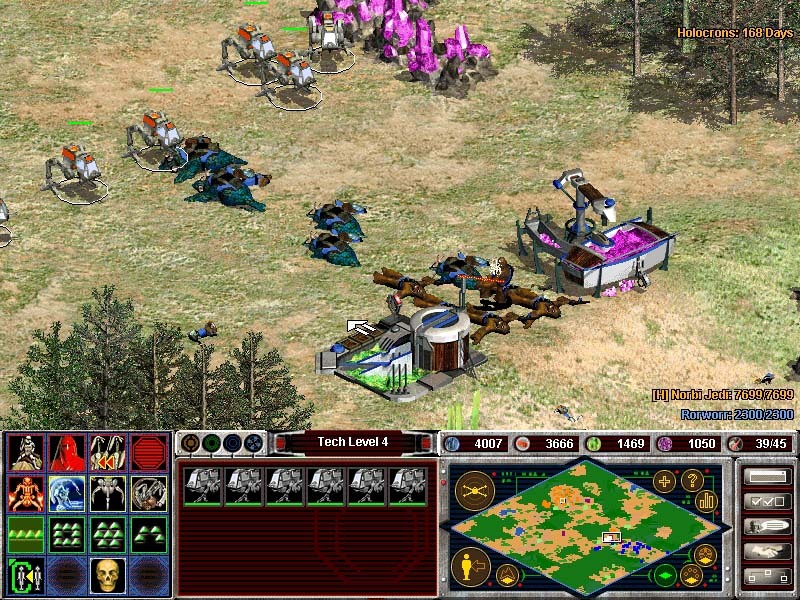 In Force Commander this problem was answered by giving the AT-PT 100 hit points, and the AT-ST 250 hitpoints. (without any upgrades or rank.) 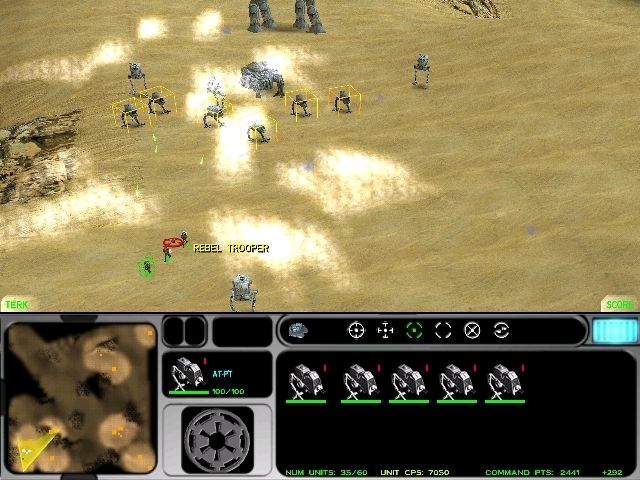 The difference is considerable, because a rebel Hover proton tank rocket can destroy an AT-PT with a single shot, while the AT-ST survives it with some health points. But against an infantry unit the AT-PT is much better then the AT-ST, because an AT-PT is more efficient, deals a bigger damage to an infantry unit then the AT-ST. Let me present two diagrams, comparing the AT-PT and the AT-ST besides the strategic table. You can see, none of them are "better", just "different", which means they do their best at different circumstances, one's advantage is the other's disadvantage. So I would say they rather complement or help each other, so combined these two are a really formidable pair. 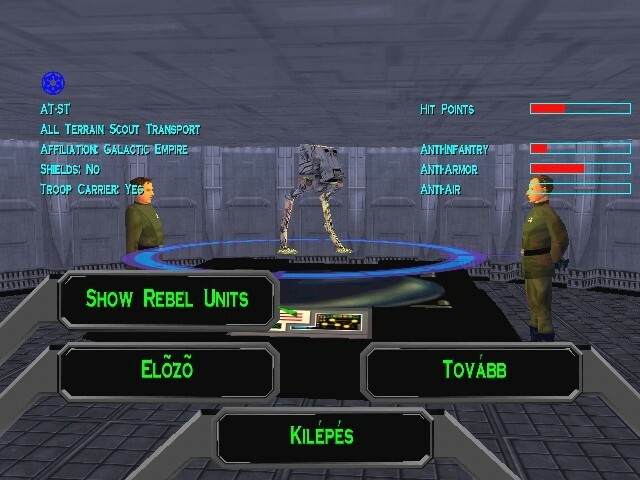 An integrated AT-PT - AT-ST division escorted Beri Tulon to that city, where he was planned to be executed, but Brenn Tantor was not so stupid to attack that convoy with his infantrymen, so he rather attacked and captured a nearby imperial base, from there he ordered reinforcement, and with the reinforcements he rushed after the convoy, which slowly advanced because of the slouch AT-ST-s, and rescued his old friend, and mentor. Interesting, but it seems the old clone walker AT-RT was the ancestor of the AT-PT. 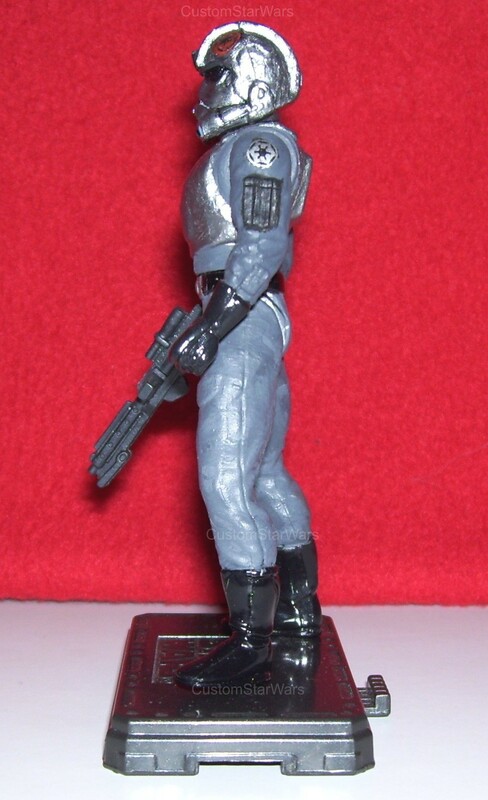 The AT-RT was also a infantry hunter walker. 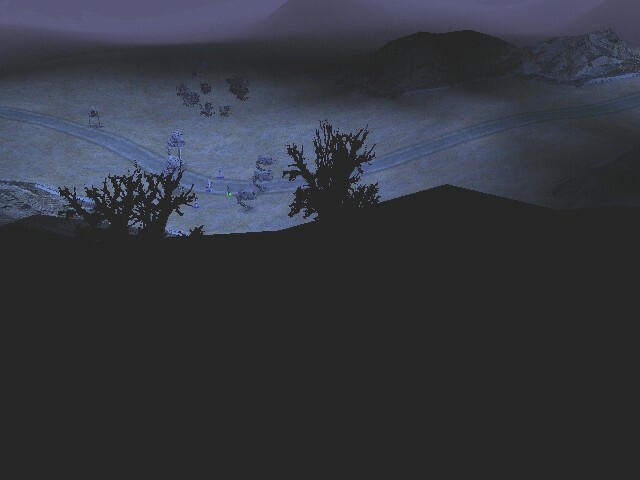 You may remember, these clone walkers were searching after master Obi-wan Kenobi at Utapau. These walker had a weak point, the driver were an easy target, since he was only sitting on the top of the walker without any cockpit, or protection. The enemy often didn't blew up the AT-RT, just they targeted the pilot, and after he was shot, his killer could capture the walker just by sitting up on the emptied saddle, so they could use the vehicle against the clones! 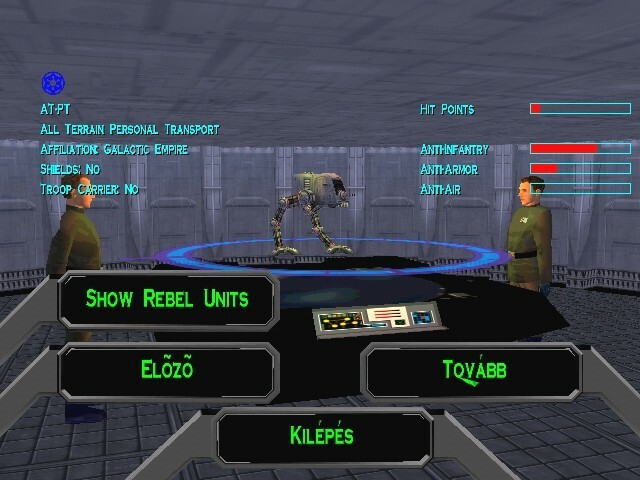 We can try this in the game Battlefront 2. 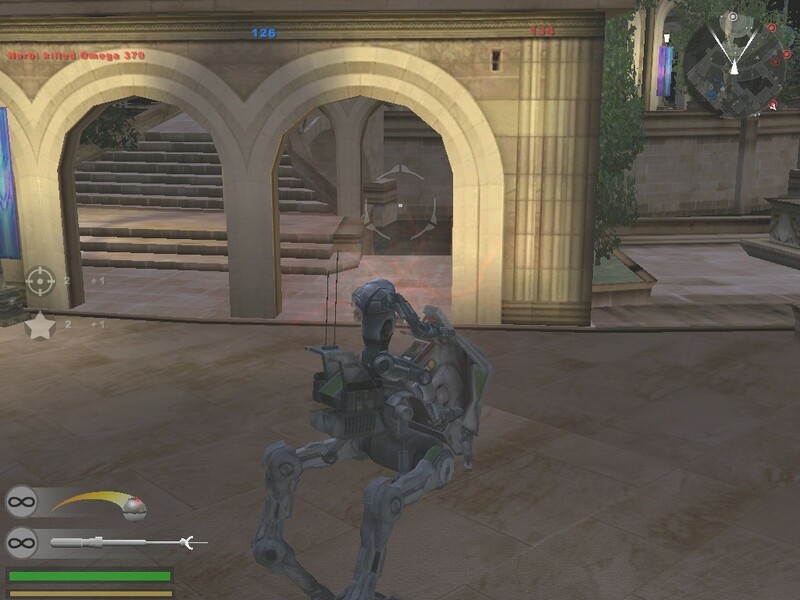 In this screenshot you can see my superbattledroid, I managed to kill the driver of this AT-RT, I jumped on his still warm place, and I used his walker against his fellow clone troopers! 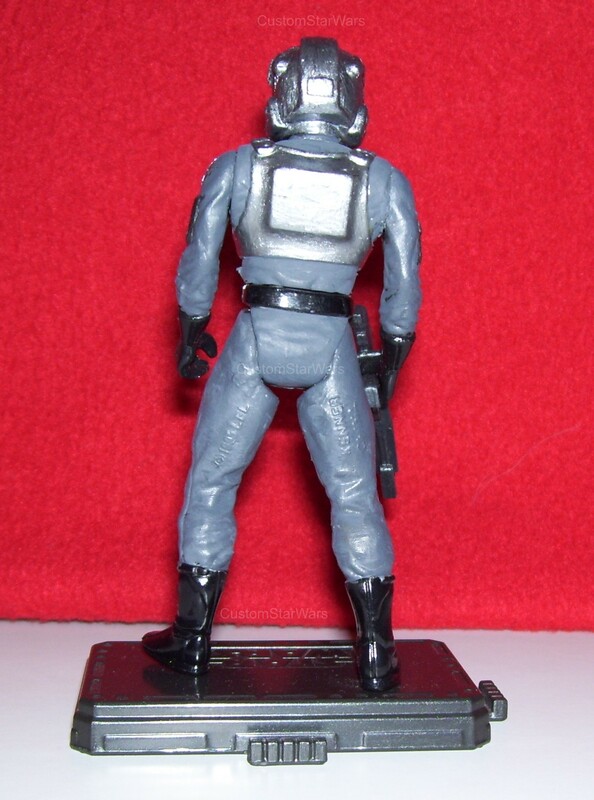 The AT-AP (All terrain Attack Pod) is also some kind of ancestor of the AT-PT, however that clone walker has let's say 2+1 legs, which means it can use a third leg for extra stability, that is ideal on terrains that are difficult to pass by, also, the third leg could help the walker to stay on its feet if somebody wanted to turn it over. 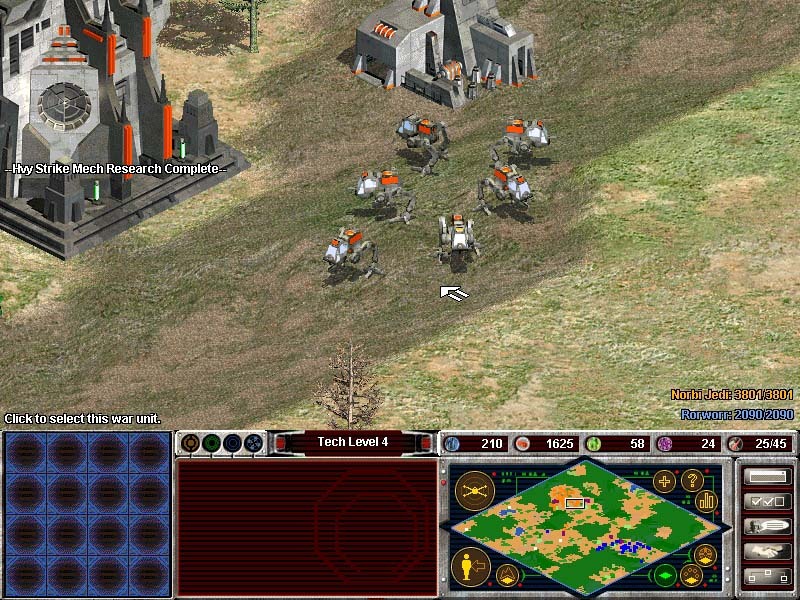 AT-PT-s were first deployed in bigger fleet under the command of Brenn Tantor. 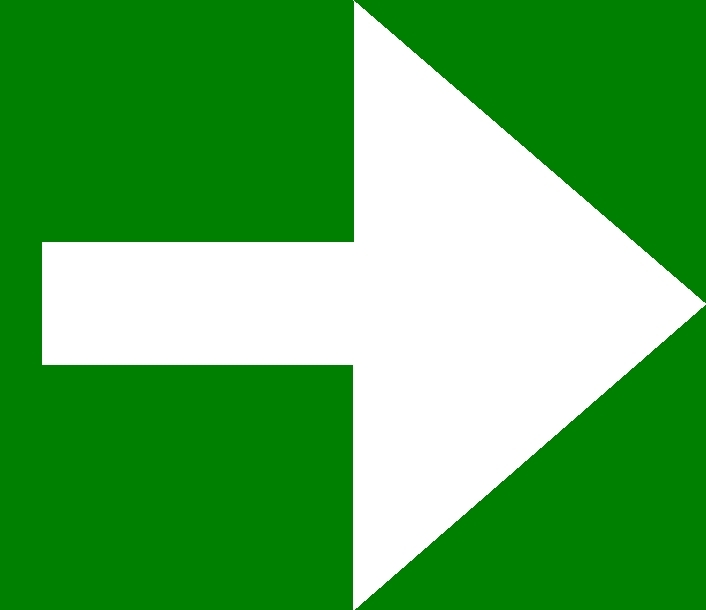 He lead very fast offenses with them. 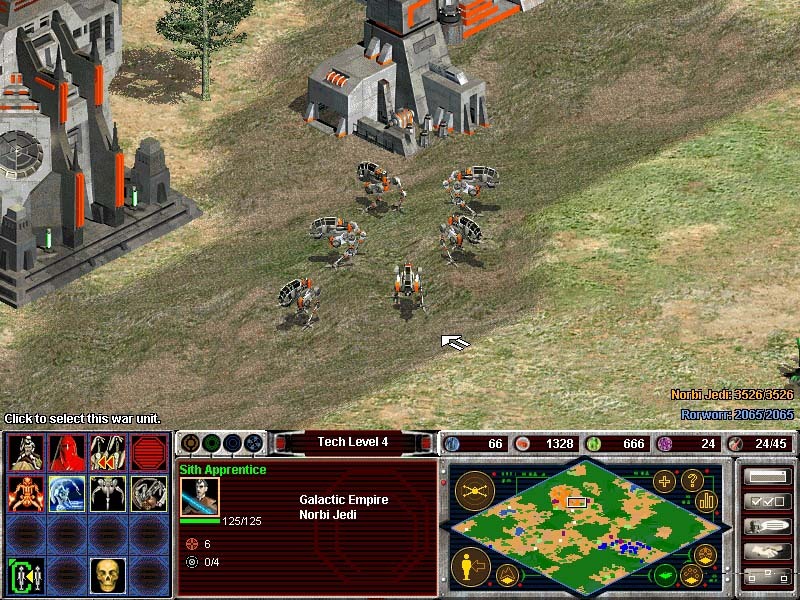 He made them a fast-moving, war winning strike force, these armored divisions soon became a feared imperial assault mechs. 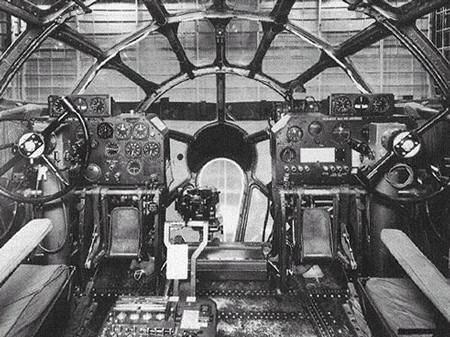 They had a similar task then the armored cars had in the second world war. The AT-PT should have been the armored car, the AT-ST should have been the tank. 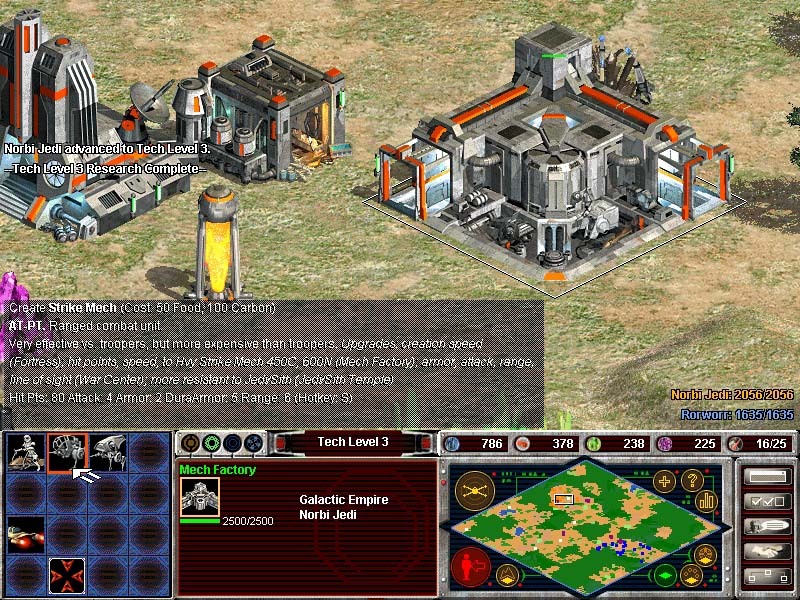 Of course the two armored services can achieve the best performance together in the biggest battles, so in the proper amount, well-balanced, and tactically used Brenn Tantor got many benefits from them, and you will be also victorious in the game Force Commander if you tactically use your AT-PT fleet. CLICKING an AT-PT, it will report in with the following sentences! 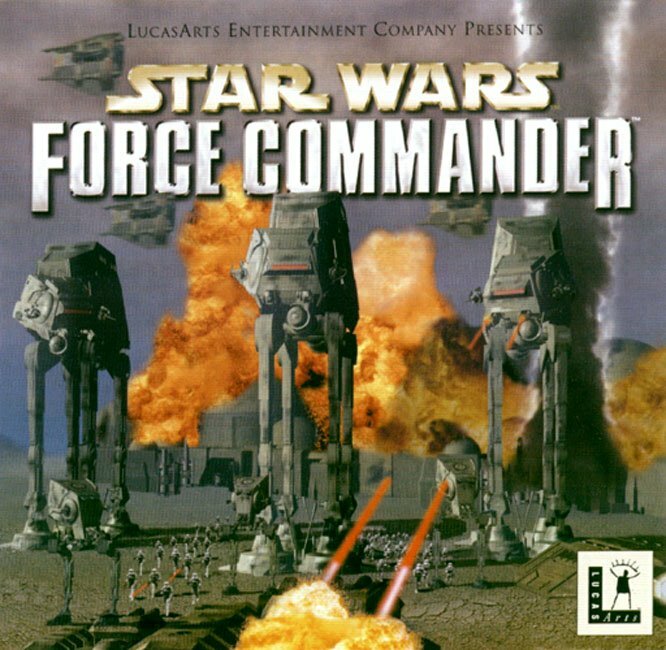 Listen to the voice of the original Force Commander AT-PT driver (MP3)! Yes sir, ready for command. What is your wish sir? Please take a look at my Custom AT-PT driver. 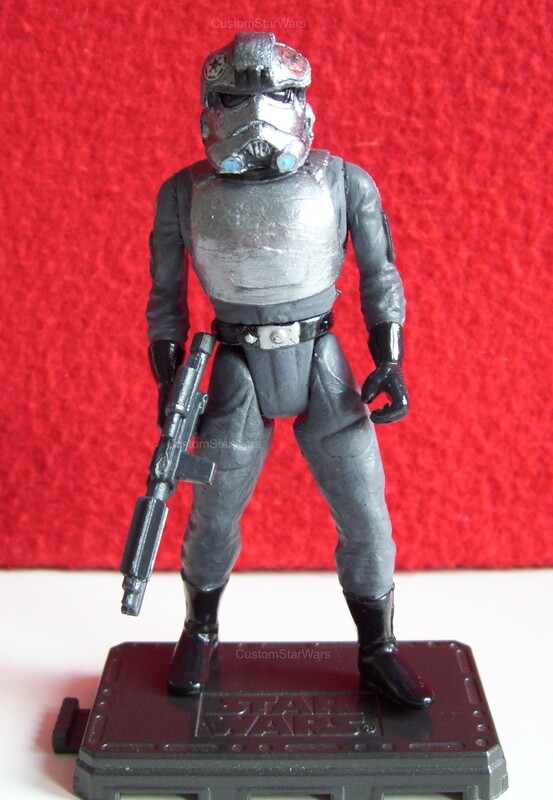 Thank you for your attention, and visit CustomStarWars frequently!